Thermobreak® RT and Thermobreak® AcoustiPlus are innovative, fibre-free insulation materials specifically designed for the railway and HVAC transport markets. These materials are manufactured from physically crosslinked polyolefin foam. This clean and unique technology produces material with superfine cell structure resulting in far superior physical and thermal properties. Thermobreak® RT offers superior insulation performance and durability compared to any other flexible insulation. It is very lightweight, flexible, fibre-free and easy to fabricate. The Thermobreak® RT range offers the highest fire and smoke ratings EN45545-2 (HL3), BS and NFPA Fire and Smoke Standards. 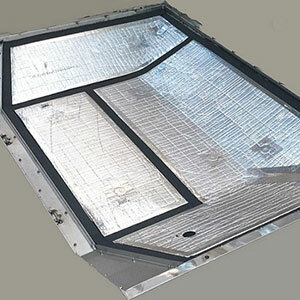 Major applications of Thermobreak® include for duct insulation, AC insulation and body/wall insulation. Thermobreak® RT is manufactured to ISO 14001 environmental standards and is REACH Compliant, VOC Certified Green Star and has zero PVC and zero ODP. Thermobreak® AcoustiPlus is an innovative fibre-free insulation material specifically designed for the railway and HVAC transportation equipment markets. This new generation lightweight acoustic material is made from physically crosslinked polyolefin foam with partially open cell structure to enhance sound absorption. 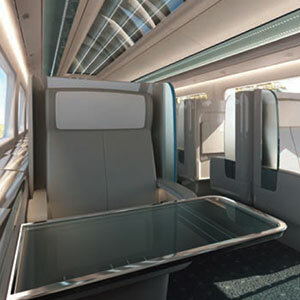 The Thermobreak® AcoustiPlus range is ideal for wall and body insulation, dust insulation and floor insulation as well as areas where noise absorption is required to enhance passenger comfort. Our experienced team is capable of providing creative solutions for all forms of production in the manufacturing industry. Our bespoke processes ensure that we are able to offer tailored solutions to all our customers’ requirements. We offer a fast, efficient service whilst ensuring quality and value for money. Please contact us if you would like more information on our Thermobreak® products, or any of our other products and services.